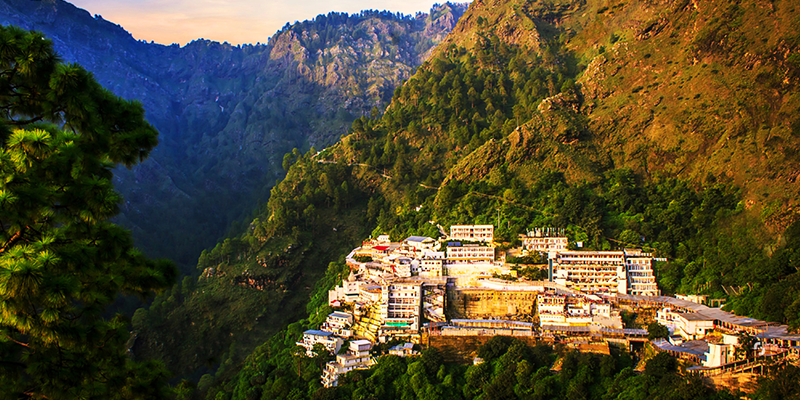 Vaishno Devi shrine in Katra near Jammu is one of the most sacred sites in India. No wonder that more than 1 crore devotees flock to this cave temple every year. Devotees swear that if one prays at Mata Vaishno Devi, the goddess is sure to answer your prayers. Yes, it is equally important to get “Mata ka Bulawa” (“Call from the Mata”). But if you thought that Vaishno Devi Yatra is strictly meant for the religious minded, then you are wrong. There are many aspects of this trip that can thrill an average travel lover. Here are some activities you must not miss once you are at the sacred shrine. 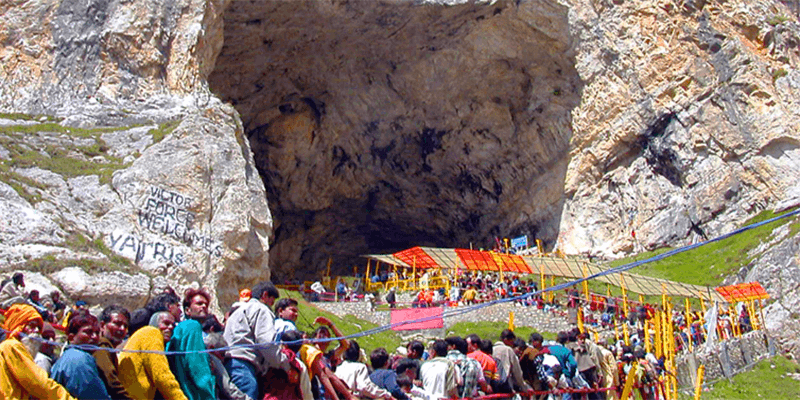 Already hitting on the plans to visit Vaishno Devi? 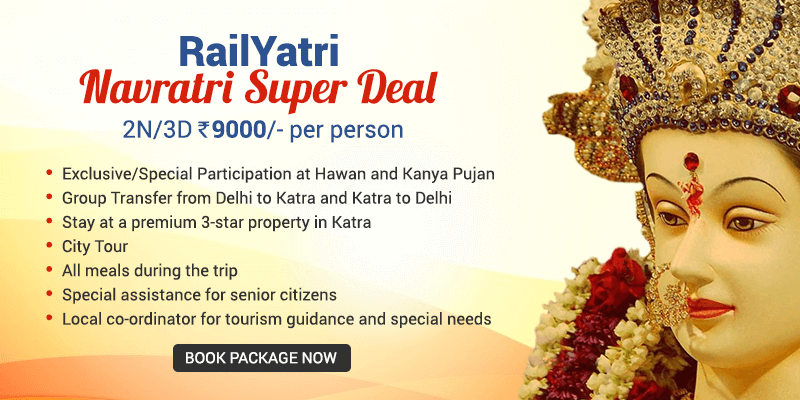 Book a Vaishnodevi tour with RailYatri at affordable price and have a convenient, spiritual darshan! Vaishno Devi temple situated on top of the Trikuta Hills will test your resolve from time to time. Before embarking on this trip, you must know that pilgrims need to prepare themselves for a 12 KM long uphill trek. The trek is rated as the third most difficult temple trek in India. And only the fit individuals, today, think of this grueling uphill climb on uneven roads. If your travel troupe has aged, children or homemakers then it would be a good idea to hire helicopter ride. The chopper ride that starts from Katra will take you to the Sanjichhat (base camp) within 10 minutes. You can hire Pony rides for the next 2 KM long trek ahead. Tip: Do care to carry your pre-booked entry slip (Parcha) before leaving for the trek. 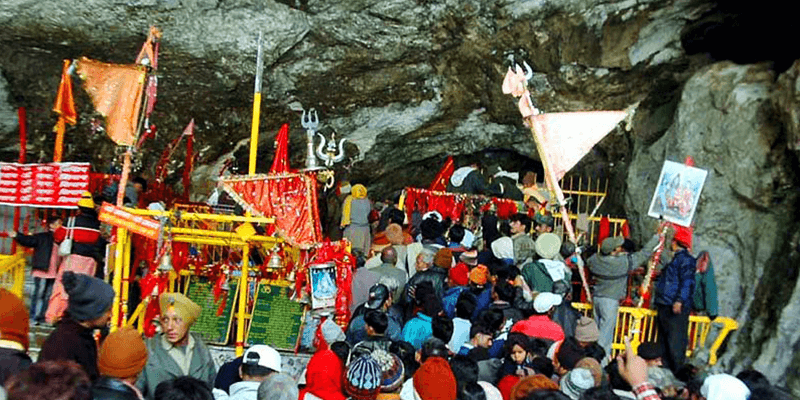 There are many miracles associated with the Vaishno Devi pilgrimage. You can experience one such, first hand. You will be wonder-struck to feel a sudden surge of energy soon after you reach Sanjichhat. The sight of Ardh Kuwari Cave takes away the tiredness of the long journey. The Holy Cave falls 2 KM ahead of the main temple and it is believed that Mata Vaishno Devi meditated within this cave for nine months. You would hear vigorous chanting of Mata Vaishno Devi’s name. Tip: Even simple everyday items such as camera, phone, watch, comb, water bottle, chappals, leather belts, etc. cannot be carried inside the temple. So, we would advise you to keep these behind at the hotel. Once you are inside the Sanctum sanctorum of the Mata Vaishno Devi temple you will not find any idols. There are rather three Pindis (pieces of rock). The miracle associated with the Pindis is that they are part of the same rock, but each of them has a different texture and color. Inside the main temple one can find the Holy Pindi of Mata Maha Kali situated on your right side, and it is black in color. Right in the center is the Holy Pindi of Mata Maha Lakshmi and rock has a yellowish tinge to it. While the Holy Pindi towards the extreme left is that of Mata Maha Saraswati and when looked at carefully you would find a whitish tinge to the rock. 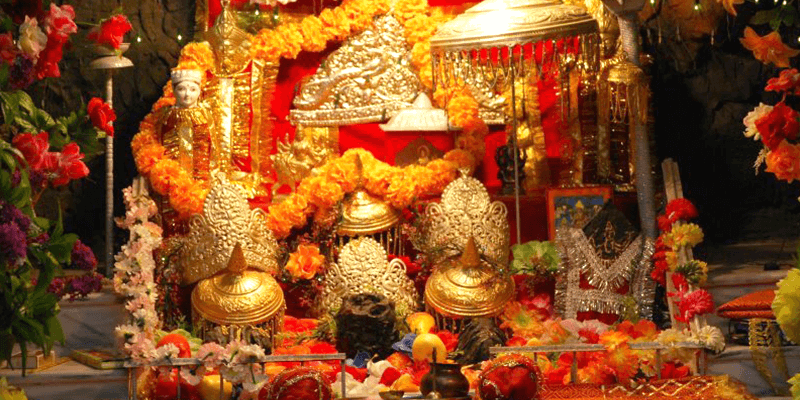 Mata Vaishno Devi is considered to be an amalgamation of all three energies. Tip: It is wise to pre-book VIP entry passes, because once you enter the main compound you would have to decide between the general queue (which would use up 7-8 hours of your time) or the VIP pass (hardly takes a couple of hours for Darshan). The Aarti conducted within the temple, brings a huge crowd. The first Aarti is performed in the just after sunrise, while the second one is scheduled during the dusk hours at evening. 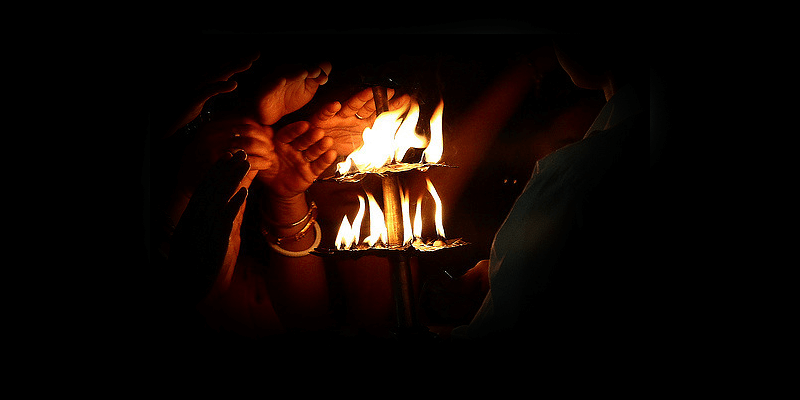 Logically, the evening Aarti receives the highest turnover. There is a long process to the Aarti. First, the Pujaris perform ‘Aatam pujan’ or the act of self-purification. Then there is the conventional Aarti inside the temple as well as outside the cave. During the worshipping process – the Goddess is bathed in water, milk, ghee, honey and sugar. Then she is adorned with saree, chola and churni and ornaments. Do not miss a moment of this grand Aarti. Though the Mata Vaishno Devi Darshan is the real deal here, but do not miss out on touring some of the other revered temples within the compound. 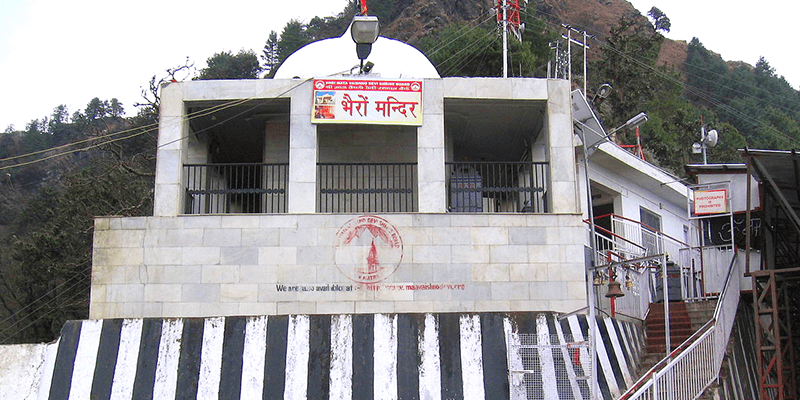 There is the Baba Bhaironath Temple, which is perched higher in the mountain. It is believed that pilgrimage is only complete once you have visited the Bhaironath Temple. There are also temples of Mata Durga and Shri Ram. Tip: These temples are situated in different areas of the Bhawan complex. So, you need to follow the signboards to reach them. Mata Vaishno Devi temple gives its pilgrims the opportunity to book appointments with the priests and get their personalized worshipping done. You need to visit the Temple Board’s website and book under the Poojan Scheme. During the Yagyas the name/s and Gotra of the devotees are chanted and prayers are offered by the priests for their prosperity. The Yagyas or Havans are believed to bring positivity within the pilgrims and subside all negativity existing in their lives. 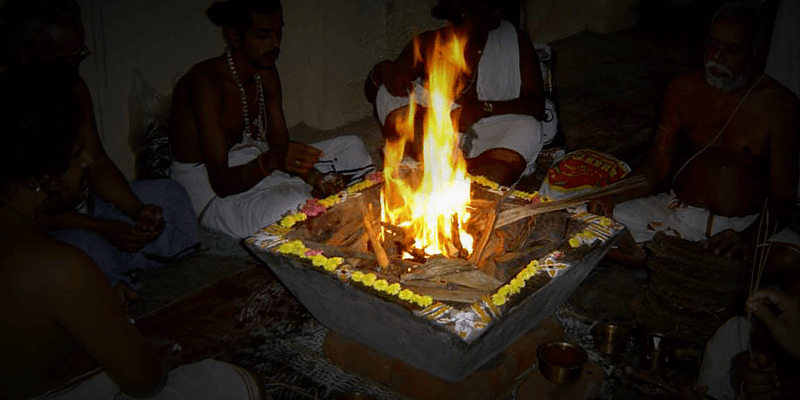 Tip: Navratras are the most auspicious occasions to perform such Yagyas or Havans. These are performed on open ground in front of the Cave Temple in place known as Yagyashalas. Choosing a package that solely takes you to Mata Vaishno Devi shrine is a wastage of your potential. There are many great Kashmir tourism attractions close to Katra. You can visit Srinagar, Gulmarg or Patnitop and stay awestruck by the supreme natural beauty that Kashmir has to offer. So, when are you touring to Katra?